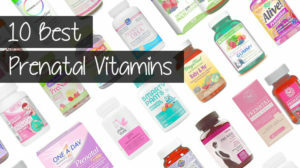 You're here: The 10 Best Prenatal Vitamins For 2019! With hundreds of different brands out there in dozens of different forms such as tablets, pills, drinks, powders and gummies, how can you possibly know which one is right for you? If that’s the issue you’re facing, you’re going to be glad you found this site! Our “prenatal team” continually tests, ranks, and reviews just about every prenatal vitamin product on the market today. We’ll tell you which ones we like and which ones we’d avoid. We’ll tell you what’s in them, when to use them, any side effects we experienced, how easy they are to take and how much they cost per serving. In a nutshell, we’ll tell you everything you need to know to find the best prenatal vitamins for your particular situation. So if you’re looking to get all the benefits that prenatals can provide, this list should point you in the right direction! 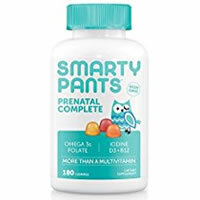 Review Highlights: Our current choice for the best prenatal vitamin is Smarty Pants Prenatal Complete. After trying these out, there’s a lot to like! They taste really good, are easy to use and have a great ingredient lineup which includes Folate, Omega-3s, Vitamin K as well as many other important components. They’re a bit pricey at $34.95 for a 30-day supply, but overall, this is one of the best prenatal vitamins out there. Read the full review here… or click here to go buy it! 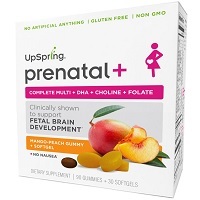 Review Highlights: UpSpring Prenatal+ Gummy is one of the better-tasting and higher-quality prenatal vitamins I’ve found. 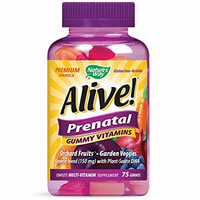 The combination of a gummy and a pill ensures that you get virtually all of the ingredients an expectant mother needs. These also taste really good and are easy to use. All-in-all this is one of the better prenatals you’ll find! Read the full review here… or click here to go buy it! 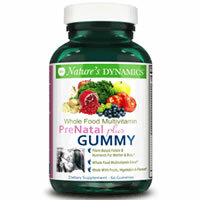 Review Highlights: Nature’s Dynamics Prenatal Plus Gummy is one of the best prenatal vitamins on the market. I really like how this company uses plants and whole foods as sources for their vitamins. The ingredients are plant based, non-GMA and are made with fruits and vegetables. The gummies themselves are very easy to use. They taste delicious (not as sweet as some gummies), but they have a bit of a vitamin/plant tasting after taste. And I love they only have 2 grams of sugar in them. Read the full review here… or click here to go buy it! Review Highlights: This was my first time testing out a liquid prenatal, and thankfully, it doesn’t disappoint. Pink Stork Liquid Prenatal Vitamin has a lot going for it. It’s easy to take daily, is reasonably priced and most importantly, has most of the ingredients you want to see in a good prenatal vitamin. Overall this one is a very good choice, especially for those who don’t like taking pills or gummies. Read the full review here… or click here to go buy it! Review Highlights: Zahler Prenatal + DHA is one of the better prenatal vitamins out there. It’s got a lot of the ingredients you want to see in a prenatal and in the right amounts. They also offer a standard 30-day guarantee through Amazon. While the pills are a little large and I get a little nauseous when I first take them, overall this is a really good prenatal. Read the full review here… or click here to go buy it! Review Highlights: These Garden of Life are very good prenatal vitamins in our opinion. They taste amazing, are easy to use and are reasonably priced compared to most other prenatals. The ingredients are pretty good, but I found it was lacking a few essential vitamins I look for in my prenatals. But overall, this is a very good choice among prenatal vitamins. Read the full review here… or click here to go buy it! 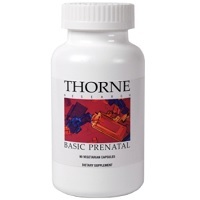 Review Highlights: Thorne makes a pretty good prenatal vitamin overall. I really like the ingredients in this one– it has most of what expectant mothers will need. It’s also got a pretty good price point at 90 cents per serving. My only issues were a very large pill size and the lack of a guarantee. Read the full review here… or click here to go buy it! 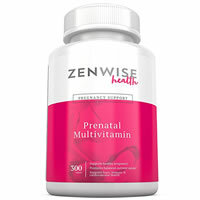 Review Highlights: For the price, Zenwise Health Prenatal Multivitamin isn’t a bad choice. It has the vast majority of ingredients you like to see in these type of supplements. The only real downside of the product we experienced was the large size of the tablets themselves. But other than that, this is pretty good prenatal. Read the full review here… or click here to go buy it! 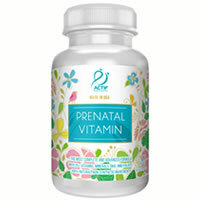 Review Highlights: Overall, I think this is overall a very high quality prenatal vitamin. As far as ingredients go, it checks off a lot of must-haves. It contains Folate, Zinc, Biotin, Iodine, and many other vitamins that are essential to both you and your baby’s health. The only thing I really didn’t care for are the softgels themselves. They’re pretty big and chunky and hard to get down. But that aside, this is a pretty good product. Read the full review here… or click here to go buy it! 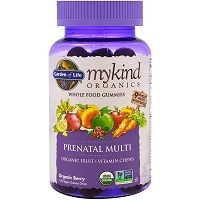 Review Highlights: In my opinion, this is a pretty good prenatal vitamin, so I ranked it 4 out of 5 stars. This prenatal gummy has a lot of good things going for it. It’s easy to take, has most of the ingredients you want in a prenatal, and the taste isn’t too bad. Overall, it’s a solid choice. 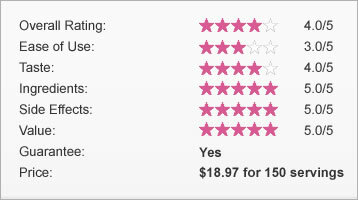 Read the full review here… or click here to go buy it!